I did an “unearthly” thing last week. In fact, I did it twice. Thinking back over my lifetime, I have done many adventurous things. I’ve even done a few crazy things; some I think would qualify as mischievous, risky, and on a few occasions, dangerous. To retain the little bit of respect I have built with my readers over the years, I am not going to reveal all of those things that I have done. But I have to tell you about this unearthly thing I did twice last week. Now I have to confess I didn’t do it on my own—earthlings can’t do that, you see. I needed help from a power outside myself, and that posed a bit of a problem because that power happens to be invisible. And that’s where things got a little “eerie.” How did I know it was invisible? I looked. As a matter of fact, I stared. I leaned over the fella sitting next to the window, and I watched the wings as we roared down the runway with the jets full throttle. I kept looking to see if I could see the power that would make my unearthly experience happen. ”Yes,” I said, as I kept staring at the wing. “I’m just checking.” (I like saying things like that when you’re taking off in airplanes.) And before long he was looking back and checking with me! “What are we checking for?” he asked, as he strained his neck. “Well,” I replied, “we’re looking for the stuff that holds us up.” That led into a very interesting conversation, I might add. You say, “Aw, Chuck, gimme a break. Here I was thinking you did something spooky, like really weird, but you just flew.” You’re right, that’s exactly what I did. But you have to admit, even though it’s now a common thing, it is still amazing. That invisible force held our plane 30,000 feet above sea level for well over two hours both going and coming. And not one of us inside the plane ever saw what did it. Air is a force with incredible strength. You can’t see it or smell it (unless you live around Los Angeles!). You can’t, except in most technical ways, measure it or weigh it. But it keeps you alive every minute. We cannot live without it. Yet when we fly we think nothing of it. Amazing stuff, air. A number of synonyms are used for Spirit—words like helper, advocate, comforter, convicter, restrainer, exhorter, and reprover. He is portrayed by symbols, too, such as a dove, fire, wind, even water. There are some things the Spirit of God is not. Let me point out three or four erroneous ideas that many people have about the Holy Spirit. In fact, when people return to their roots and attempt to explain their beliefs, they are often most confused about the doctrine of the Holy Spirit. I have often heard Him called an “it” . . . so let’s start there. What a helpful revelation! When Jesus left the earth and sent another Helper (“another of the same kind,” interestingly), like Himself, the Helper came and became a part of their lives deep within. No longer near them, but in them. That’s a mind-staggering truth. Never doubt that the Spirit of God is incessantly on the move. As with air, we cannot see Him; nevertheless, He is hard at work convicting, guiding, instructing, disclosing, and glorifying. Just a few of His activities! Just before Jesus’s ascension back into heaven, He met with a group of His followers. They had questions. He had answers. He also had some crucial news regarding the Spirit who would soon come to take His place. The Spirit is no imaginary, vague hope; that is a promise from our Savior. This will heighten your respect for the Holy Spirit’s work, if nothing else will. Tucked away in the book of Acts is a seldom-mentioned story about a couple who paid the ultimate price for their hypocrisy. Woven into their brief biography is a statement of the Spirit’s deity. When they lied “to the Holy Spirit” (5:3), they “lied . . . to God” (5:4). Imagine what it means to have the presence of the living God within you. Pause and ponder this, my Christian friend: the third member of the Godhead, the invisible, yet all-powerful representation of deity, is actually living inside your being. His limitless capabilities are resident within you, since He indwells you. You think you can’t handle what life throws at you? You think you can’t stand firm or, when necessary, stand alone in your life? You think you can’t handle the lure of life’s temptations? Well, you certainly could not if you were all alone. You—alone—can’t do that anymore than I can fly alone. But with the right kind of power put into operation, the very power and presence of God, you can handle it. You can do it. As a matter of fact, all the pressure will be shifted and the weight transferred from you to Him. It’s a radically different way to live. And because He is God He can handle it. 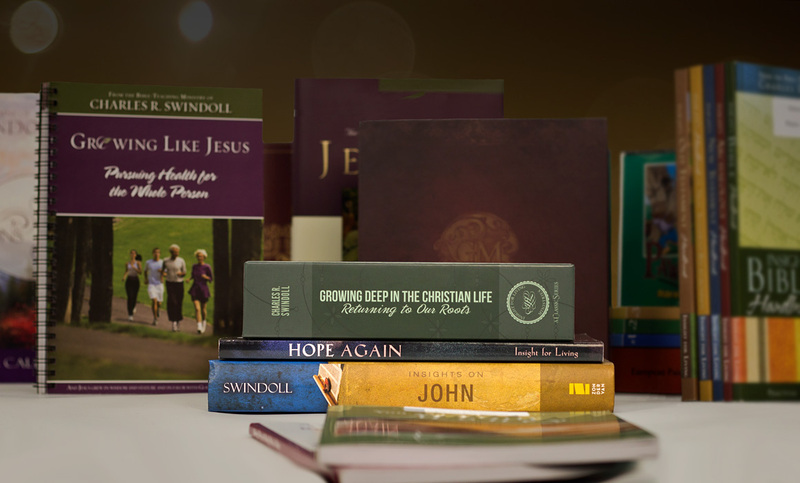 Adapted from Growing Deep in the Christian Life: Returning to Our Roots (Portland, Ore.: Multnomah, 1986), 175-80. 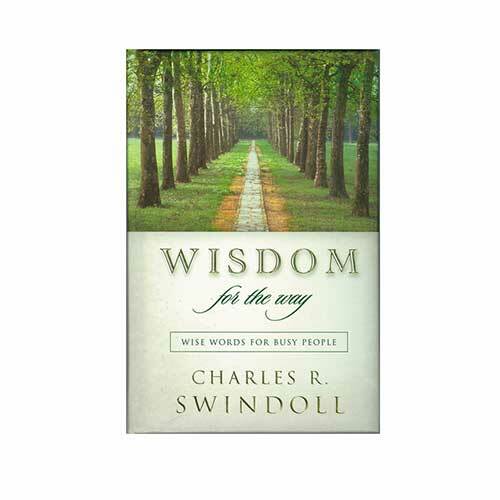 Copyright © 1986 by Charles R. Swindoll, Inc. All rights reserved worldwide.